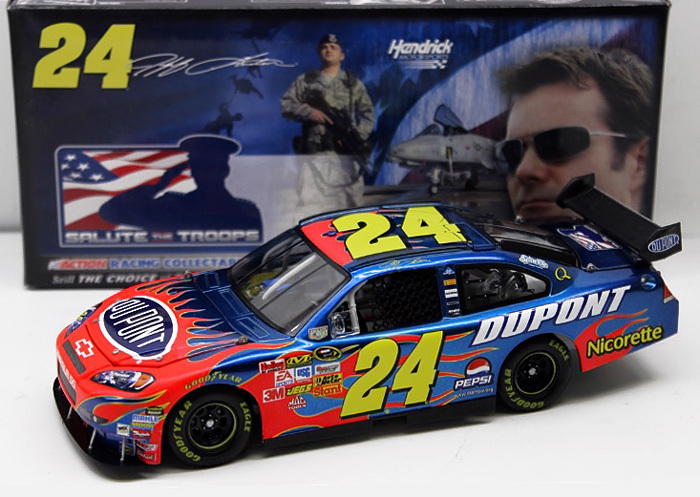 Honoring Our Soldiers, Salute the Troops, Honoring our Heroes, and other U.S. Military and Patriotic Diecast. September 11, 2011 marks the 10th Anniversary of an event that forever changed our country. Nearly 3,000 people lost their lives on that tragic day, but their stories of heroism live on forever, inspiring all Americans to greater acts of courage and sacrifice. 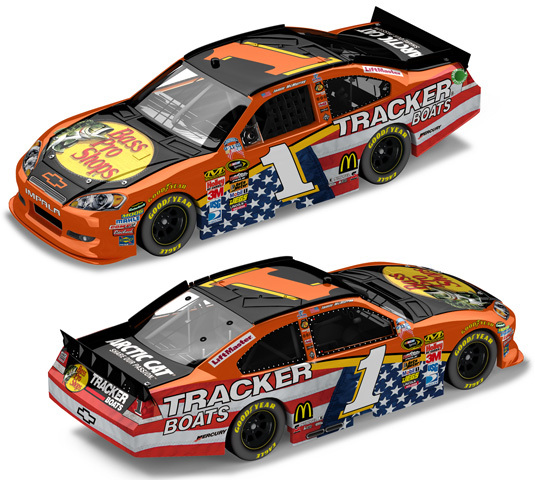 Lionel NASCAR Collectables (Action) is proud to honor the heroes of September 11 at Richmond International Raceway and help our military heroes who have sacrificed so much by donating a portion of the proceeds from each diecast sold. 2011 Trevor Bayne #16 Fastenal / Honoring Our Heroes / Ford Mustang NASCAR diecast, by Action. The Roush Fenway Racing #16 Honoring Our Heroes Ford was driven by Trevor Bayne in the NASCAR Nationwide Series, Virginia 529 College 250 at Richmond International Raceway on September 9, 2011. The picture shown is incorrect, the actual diecast car has a Yellow #16 on the roof. 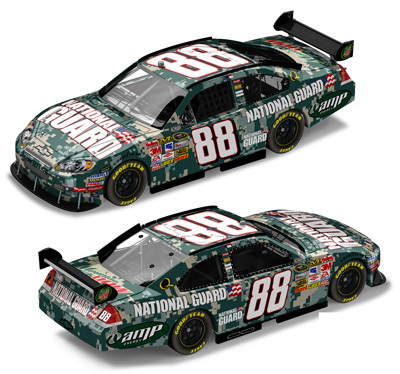 2008 Dale Earnhardt Jr #88 National Guard / Defending Freedom - Camouflage / Chevrolet Impala SS NASCAR diecast, by Action. 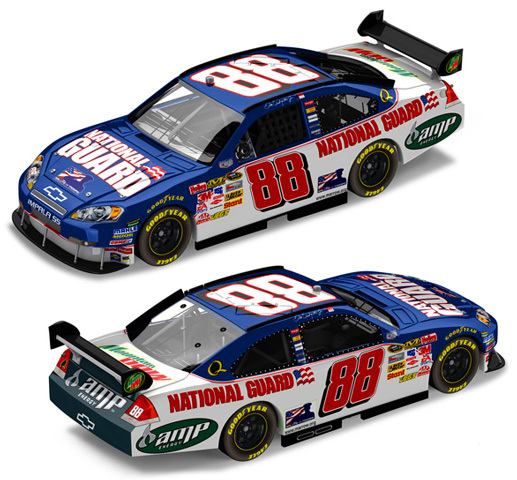 The Hendrick Motorsports #88 Defending Freedom Chevrolet was driven by Dale Earnhardt Jr in the NASCAR Sprint Cup, Coke Zero 400 at Daytona International Speedway on July 5, 2008. 2011 Kevin Harvick #29 Budweiser / Military Tribute / Chevrolet Impala NASCAR diecast, by Action. 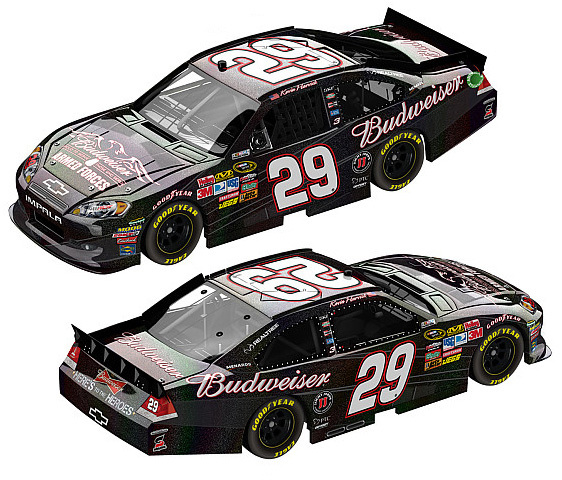 The Richard Childress Racing #29 Budweiser Military Chevrolet was driven to victory by Kevin Harvick in the NASCAR Sprint Cup, Coca-Cola 600 at Charlotte Motor Speedway on May 29, 2011. The hood is emblazoned with the Budweiser Eagle, dog tags and the words "Proud to Serve Those Who Serve". This diecast car is displayed on a clear base. 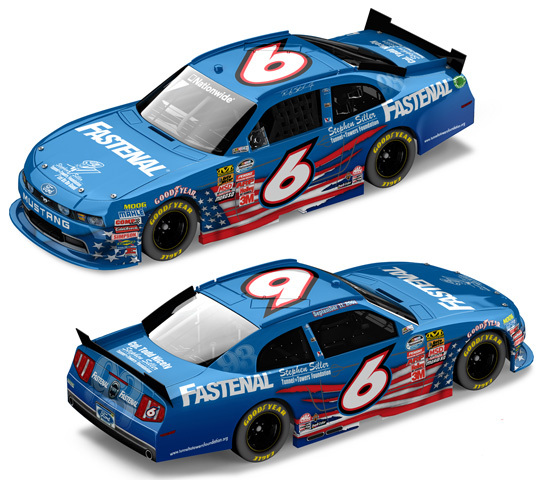 2011 Ricky Stenhouse Jr #6 Fastenal / Honoring Our Heroes / Ford Mustang NASCAR diecast, by Action. The Roush Fenway Racing #6 Honoring Our Heroes Ford was driven by Ricky Stenhouse Jr in the NASCAR Nationwide Series, Virginia 529 College 250 at Richmond International Raceway on September 9, 2011. 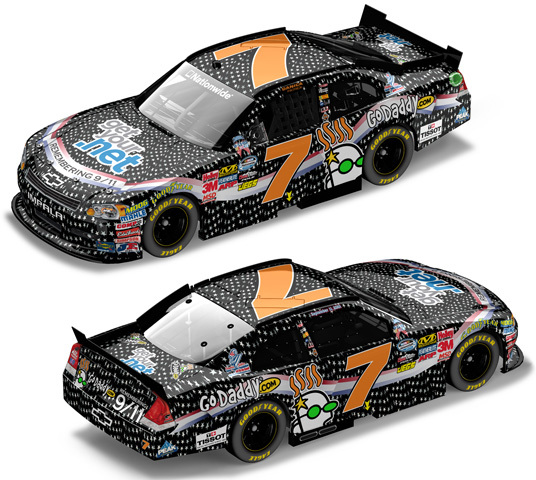 The picture shown is incorrect, the actual diecast car has a DayGlow Orange #6 on the roof.